TERMINAL ILEAL DIVERTICULUM with 12 “FOSSILS” of MORRHUAE OIL PILL, Dr PHAN THANH HẢI. A 31yo FEMALE PATIENT SUFFERED FROM ABDOMINAL DISTENSION AND PAIN. FOR 20 YEARS SHE HAD GONE THROUGH AN OPENED OPERATION FOR APPENDICECTOMY AND THEN AN ANTI-TUBERCULOSIS TREATMENT HAD BEEN DONE. ULTRASOUND IMAGES= ONE BIG MASS FROM PELVIS TO MIDDLE ABDOMEN, SIZE 25CM WITH “UMBRELLA SIGN ” BY THE STRONG ATTENUATION. 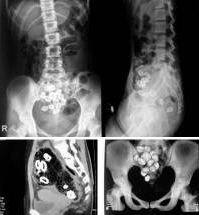 ON A PLAIN ABDOMINAL X-RAY FILM THERE WERE MANY OSTEOGENIC RINGS INSIDE THE MASS.MSCT SHOWED THAT THE MASS WAS WELL BORDERED, WITH GAS INSIDE AND 12 OSTEOGENIC RINGS . Operation detected a diverticulum of the terminal ilium which was made by fecalith located at the iliocecal angle, and the outside walls were in adhesion and inflamation. 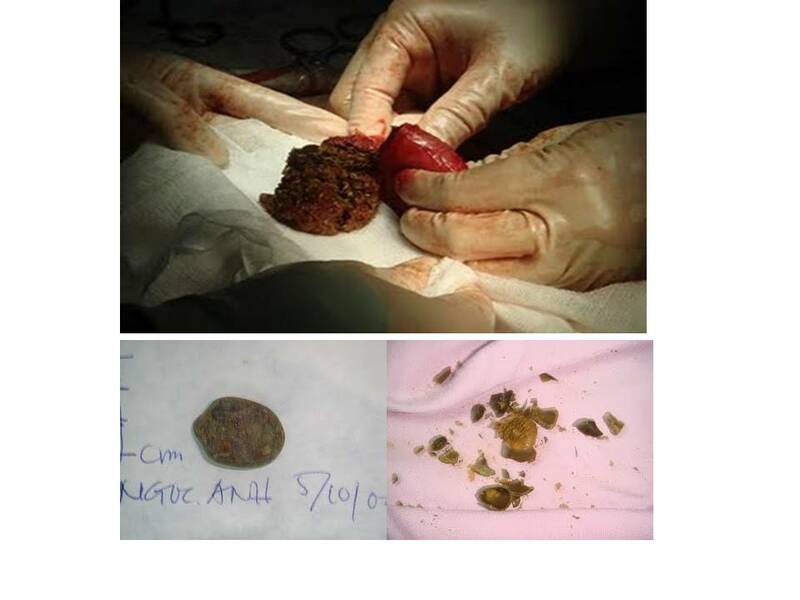 The diverticulum contained an old coprostatic mass including 12 stone-like very hard structures, each one about 25mm in diameter. By breaking the stone-like hard structure it existed surprisingly the “fossil” of morrhuae oil (cod liver oil) pill. This entry was posted in ultrasound research. Bookmark the permalink. Acoustic Radiation Force Impulse (ARFI) Imaging of Thyroid Nodules at MEDIC CENTER, Hung Thien Nguyen, Cuong Tuan Nguyen, Xuan Thanh thi Pham, Hai Thanh Phan. 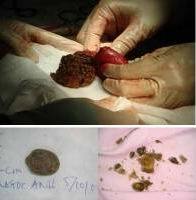 An Interesting Case of T-Shape IUD Inducing Urinary Stone Formation for 10 Years at MEDIC CENTER, HCMC, Vietnam, Tai van Le, Triet Quang Duong, Nhan Thanh Nguyen Vo, Thien Minh Nguyen. NONINVASIVE ELASTOGRAPHY of LIVER FIBROSIS EVALUATION on 554 CASES at MEDIC CENTER: COMPARISON ARFI to FIBROSCAN. OPTIC NERVE SHEATH DIAMETER and BRAIN TUMOR, Dr HUNG THIEN NGUYEN, Dr LAI THI HUYNH, and Dr HAI THANH PHAN, MEDIC MEDICAL CENTER, HCMC, VIETNAM.